Picture yourself floating down the Nile River as you overhear psychedelic jazz grooves and hip-shaking kuduro beats from the nearby shore. This is the idyllic setting of Nyege Nyege Festival, an international music festival that’s taken place in Jinja, Uganda since 2015. Located on Nile Discovery Beach, the festival is surrounded by over four acres of lush, green tropical forest, with its own private beach and sculptures decorating the landscape. 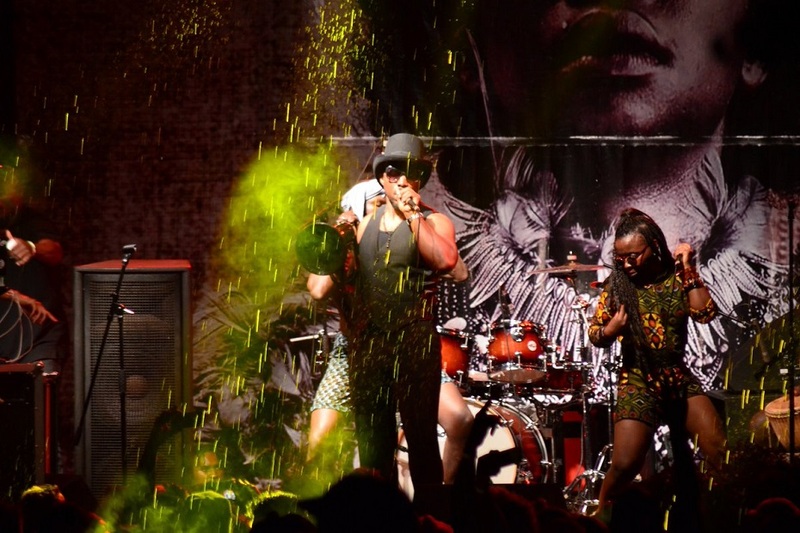 The organizers of Nyege Nyege were inspired by The World Festival of Black Arts, a landmark event that took place in Dakar, Senegal in 1966 and celebrated the creativity of the African diaspora as well as Africa’s musical influence on the rest of the world. 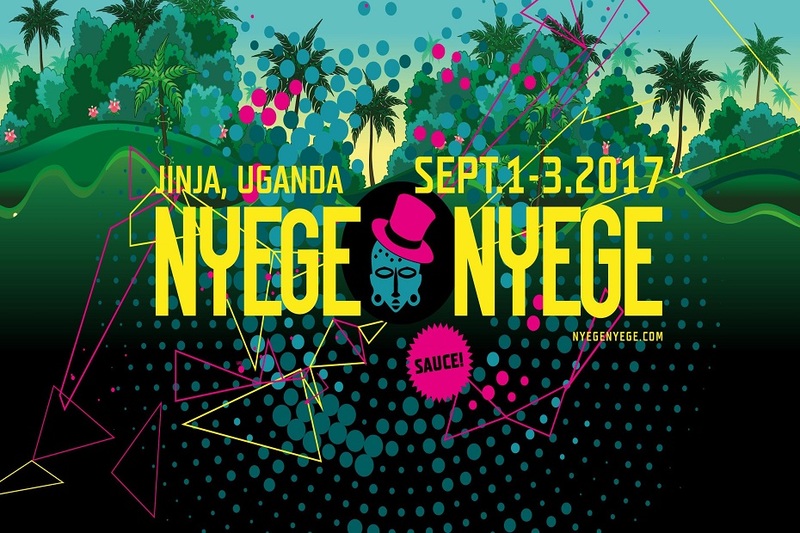 Nyege Nyege offers a rare opportunity to see African electronic musicians who seldom play outside their home countries, and has come to be regarded as the African capital of the global bass music scene. A team of musicians and promoters from Uganda and Europe curate the international lineup of artists, who have come from Uganda, Ghana, Mali, Kenya, South Africa, Niger, Burkina Faso, Somalia, and Ethiopia, as well as the U.S., UK, Russia, Japan, Germany, Belgium, and Mexico. Festival organizers translate the Swahili word nyege nyege as “an uncontrollable urge to move, shake, or dance.” Expect a melting pot of musical genres that mix traditional rhythms and modern electronics: balani (a percussive, high-energy party music from Mali), kwaito (a house music subgenre from South Africa), kuduro (uptempo Angolan dance music with a tropical vibe), Ugandan dancehall, and more. Aside from showcasing Africa’s brightest up-and-coming talent, Nyege Nyege wants to create a dialogue between artists from the African diaspora. American hip-hop, Caribbean jazz, and South American cumbia artists have been featured on past lineups, as well as European producers whose work references African sounds. Past artists have included Gato Preto, an experimental electronic duo; Mamman Sani, an iconic psychedelic composer from Niger; grime supergroup Jomaaga; West Nile Fusion Band, a Ugandan brass band that features traditional instruments and dancers; and Daniel Haaksman, a German producer credited with helping popularize Brazilian Baile Funk to the rest of the world. The music and art at Nyege Nyege is geared towards the avant-garde and experimental. Expect Afro-futurist vibes with surreal fusions of traditional and modern, and beats that will get your booty moving. And if you break a sweat from all the dancing, you can always take a dip in the Nile. If you’re not too familiar with African music, Nyege Nyege’s eclectic curation can be eye-opening. And to deepen festival-goers’ understanding of what’s going on onstage, the event also features a series of film screenings with a rare selection of documentaries about Africa’s musical legacy. Nyege Nyege also offers a vibrant mix of East and West African cuisines, as well as Afro-Asian fusions, Thai and Indian cuisine, and barbecue thanks to chefs from YUJO, a popular sushi restaurant in Kampala.